Last week we saw the carriers’ growth numbers for Q3 2010, and AT&T completely blew away Verizon with new subscribers. Despite mass availability of Android phones, Verizon only added 1 million subscribers in Q3, its lowest total in years. AT&T added 2.6 million. It’s now completely clear why Verizon has finally capitulated and cozied up with Apple—even with tons of Android models, Verizon simply can’t compete with AT&T in terms of new subscriber growth. Right now the question du jour among iPhone aficionados is how many net subscribers will leave AT&T and switch to Verizon once the iPhone becomes a reality in January 2011. That number is going to be a lot larger than people think for a series of compounding reasons. First off, let’s establish that iPhone service on AT&T has not improved. Dropped calls are one issue. But so are dead connections, intermittent signal, and my personal favorite—the inability to use the phone for voice or data even when you have “full signal”. There is a reason why these issues are endemic to iPhones on AT&T, but don’t affect either Android smartphones on Verizon, or iPhones on other GSM carriers worldwide. And it always intrigues me that it’s hardly ever mentioned by either analysts, the media, or by Apple and AT&T themselves. I suppose the former community doesn’t understand the issue, and the latter doesn’t want you to know the truth. Earlier this summer I uncovered the real reasons why AT&T’s network is so terrible, just prior to iPhone 4 and iOS4 being released. Contrary to what’s normally discussed in the press, the issues are not capacity related. It’s not about the number of cell towers or wireless bandwidth. Instead, they relate to “signaling”, control and status information which is communicated back and forth across wireless networks. Smartphones use signaling for network polling and status updates, for functions like SMS, billing, and for DHCP requests. 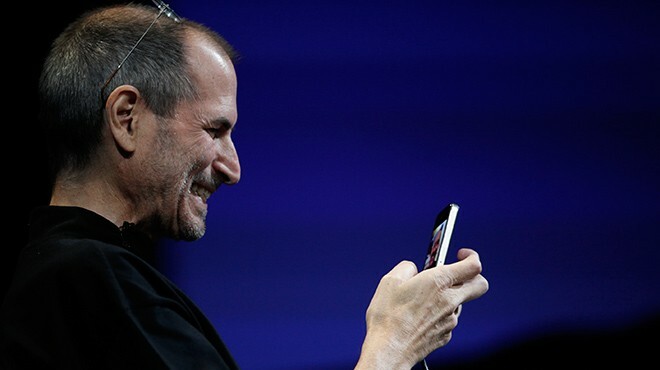 When I wrote that piece, Steve Jobs had just gone on record at D8 saying that AT&T was working hard and the issues would get better by the end of the summer. Well guess what? They haven’t. The issues have not been alleviated because they require a completely rethought approach to network topology at the signaling layer, and after three years it’s clear AT&T has no clue how to do this, especially amidst a continual onslaught of iPhone subscriber growth. Attempts to overhaul its signaling network present a chicken-and-egg problem. AT&T must also build out its LTE network, which is the real solution to creating robust signaling. This dilemma is compounded by the fact that 3G isn’t going away—I recently learned Apple plans to bypass LTE in 2011, instead opting to wait for “4G” to mature. This means that AT&T subscribers will be relying on AT&T’s woefully strained 3G network for another 18 months or more. Unless they switch to Verizon. The premise that Verizon’s network will support the iPhone fine is now anecdotally supported by the fact that Verizon smartphone subscribers use more data than iPhone subscribers, and because Android phones actually use the same power saving disconnect methods that the iPhone popularized. Up until this point AT&T could physiologically assuage the concerns of iPhone users since they had exclusivity. But soon people will be able to compare Apples to Apples, if you will. An iPhone user on Verizon will not experience the same issues as an iPhone user on AT&T. If you don’t believe me, this will become clear for everyone when the Verizon CDMA iPhone becomes available. The really interesting part is that it appears Apple is going to supply a dual mode GSM/CDMA iPhone in mid-2011 which supports all carriers worldwide. Imagine the scenario of a new customer walking into the Apple store—why on earth would they go with AT&T when their neighbor talks about how well the iPhone works on Verizon? This confluence of reasons—the general delay of 4G, coupled with Apple’s plans to support a dual mode GSM/CDMA iPhone—will hurt AT&T. It’s beginning to look like there are going to be a lot more AT&T defections to Verizon than the majority of people think. And once again, Steve Jobs will smile like the Cheshire cat while Apple stands above the fray, as the primary beneficiary.